One of the biggest challenges in applying the Advancement approach is achieving the balance between immediate objectives and longer term sustainability goals. Issues around working in parallel – creating and revising holistic strategies in tandem with delivering on existing objectives – persist. This is the case for organisations new to and familiar with Advancement, and so the tendency is to revert to our default ways of engaging and operating. Positioning of the Advancement approach is therefore not to have organisations abandon existing processes that are working well, rather it’s about finding ways to enhance, expand and strengthen existing approaches, and to find ways to incorporate holistic thinking and the elements of Advancement not yet infused in the organisation. It’s not about changing the nature of organisations, rather finding the ways in which they can rethink their approach to sustainability. It is also about encouraging organisations to be mindful of their cases for support and to revisit it for relevance – looking to see whether the missions are still relevant. In addition to time and resource challenges, organisations also carry intense programmatic loads which leaves very little time to focus on building and maintaining relationships with key stakeholders – particularly new stakeholders. Also, organisations often do not recognise how much of the work already being done can be used to build relationships in the external environment, e.g. report writing is part of relationship building; speaking at conferences is part of voice and visibility, etc. It takes time for people within organisations to see how their portfolios and roles contribute to overall organisational sustainability. Given all of the above, it takes time for organisations to move away from operating in a reactive way. It takes concerted effort to shift from responding to calls for proposals only to engaging the external environment through effective relationship building to attract support. This article is an extract from What we’re learning | Perspectives from a Resource Mobilisation for Research Programme; a publication developed to show some of our learnings from the Resource Mobilisation for Research (RMR) programme. 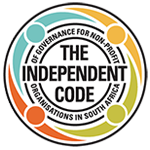 Inyathelo was brought on board by the International Development Research Centre to work alongside participating organisations as they implemented their RMR grants. PreviousHow can we use our Case for Support?